The Hedge Bar and Grill will be closing for the season on October 18th, 2018. “It’s starting to feel like winter! The Hedge Bar & Grill will be closing up shop for the season. Thanks to everyone for supporting our restaurant at Stone Hedge this year!! We can’t wait to start next year off with a bang, featuring more dinner entrees, more of your favorite Friday Acoustic nights, and other surprises to come! The new Hedge restaurant is now open. 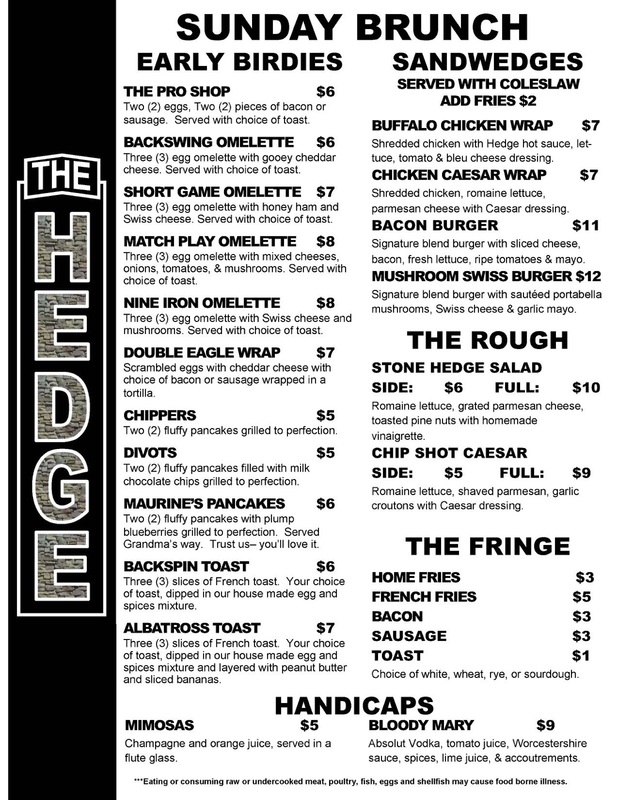 The Hedge is located on our ground floor with an indoor facility and outdoor patio for your dining pleasure. 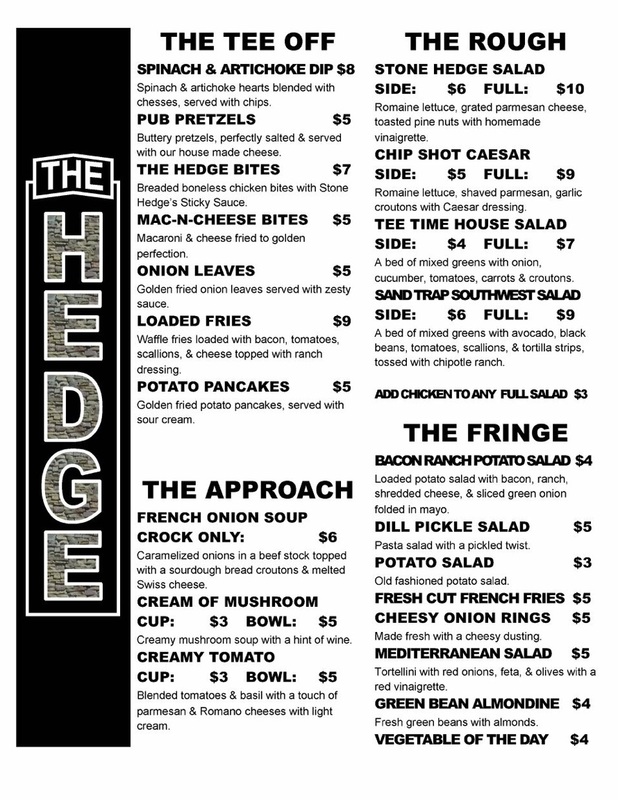 Thurs thru Saturday the Hedge is OPEN from 11:00 am to 9:00 pm. Sunday from 9:00 am to 6:00 pm. 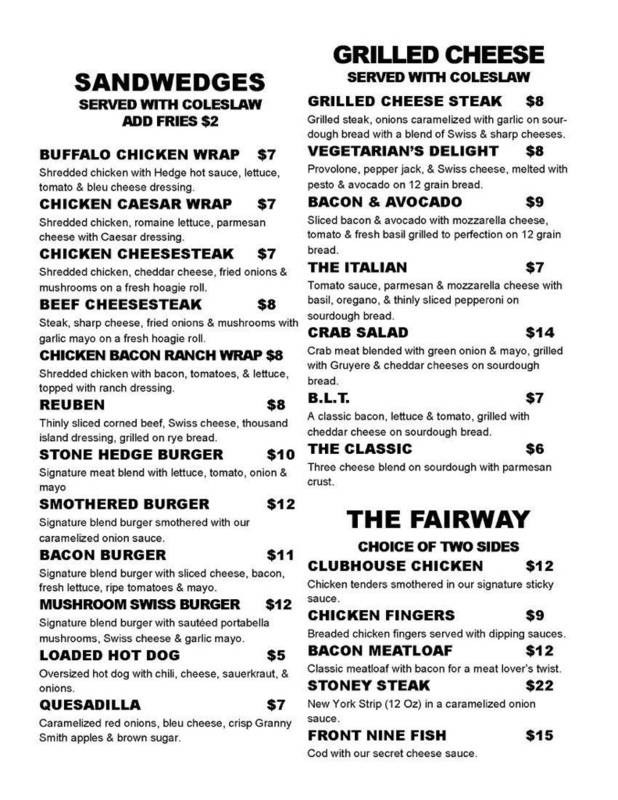 MONDAY thru WEDNESDAY * CLOSED FOR FOOD * – BAR IS OPEN!!! **Consuming raw or undercook meat, poultry, egg, fish or shellfish may cause food borne illness. Please advise your server for allergy or special request before you order.